The most comprehensive course, resource and encyclopedia of magick, practical occultism and metaphysics returns from the underground for a very special 10th Anniversary edition! Ten years ago, prolific writer and modern occultist, Joshua Free, developed a revolutionary literary contribution now considered the “greatest occult classic of the 21st century.” It is presented in a uniquely non-linear structure that naturally adapts and evolves to a seeker’s level of understanding and then builds upon it, advancing your metaphysical education beyond anything else found in a single volume ever! Now, come initiate yourself and gain clear understanding of the harmonic unification of ‘secret knowledge’ that has received many labels throughout the ages: magick, occult, esoteric, pseudo-scientific and now, even quantum. Perfect for solitary seekers and working groups. Self-paced instruction provided by a leading member of the underground occult community, available without membership and in the privacy of your own home, office or secret chamber. For the first time since its prestigious debut release in 2008, the GREAT MAGICAL ARCANUM materials are available in print as an all-in-one volume, reformatted and revised to include hundreds of facets of history, theory, practice, examples and diagrams of the original notebooks candidly described for all ages by Joshua Free. * Easy to read – Easy to learn – Easy to use! Concise. Practical. Pragmatic. Saves time and money, replacing hundreds of other books on your shelf, Joshua Free’s ARCANUM materials have reached critical public acknowledgment as the new standard for 21st century pursuits into such topics as: – Ritual & Ceremonial Magick for Invocation & Evocation of Spirits – The Nature of Spirits, Angels & Gods, Vampyres, Druids, Dragon Kings & Elves – Use of Spells, Sigils, Seals and Magic Squares for Love, Money & Power – Energy Work – Auras & Chakras, Quantum, Unified Fields and String Theory – Prophecy, Visions, Divination & Skrying, Astrophysics, Ancient Aliens & Religious Traditions …and much much more! Originally developed exclusively for the archives of “Mardukite Ministries,” now you too can follow your own unique path of discovery and uncover the magickal mysteries and secret teachings of the ages. With ease you can quickly be on your way to becoming a master of the occult arts without restrictive and costly affiliation to a lodge or group. After having been shared by thousands, the ARCANUM work has been reevaluated for a new wave of readers discovering the prodigious works by Joshua Free. Now is your chance to possess the most ultimate tome of magick ever to exist! 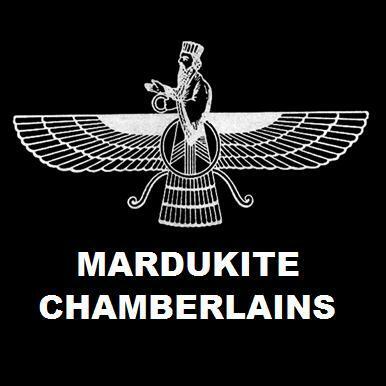 The Mardukite Truth Seeker Press has been delivering an aggressively refined methodology for a new ‘NexGen’ breed of Mardukite Babylonians — the first spiritual and political rebels in history who rose up against the Enlilite Sumerians in seemingly prehistoric times, but in fact they are the times that literally defined history, writing and the systems of human civilization that have grown and advanced since then. The new mardukite.com site is dedicated to the publications of the Mardukite Truth Seeker Press that celebrates the incredible underground literary work and contributions of Joshua Free. 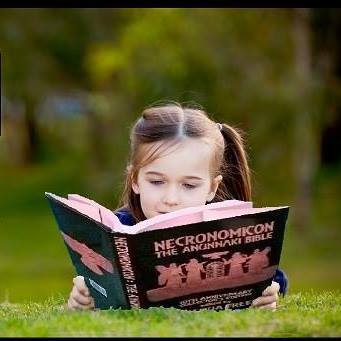 This includes the Necronomicon Anunnaki Cycle and complete course curriculum used for the self-guided Druid School and Wizardry School sites. In addition to the work of the Mardukite Chamberlains and the two metaphysical schools, the work of Joshua Free has extended to a new “NexGen” vision of knowledge, language and “human” or “transhuman” development called SYSTEMOLOGY, which can be accessed currently at the site: http://systemlogics.wordpress.com. MARDUKITE TRUTH SEEKER PRESS BOOKS ARE AVAILABLE DIRECT FROM THESE SITES AND BLOGS, FROM AMAZON.COM OR FROM WHEREVER BOOKS ARE SOLD. REQUEST THAT YOUR LOCAL BOOKSELLER CARRIES THE LATEST AND GREATEST BOOKS BY JOSHUA FREE!! !